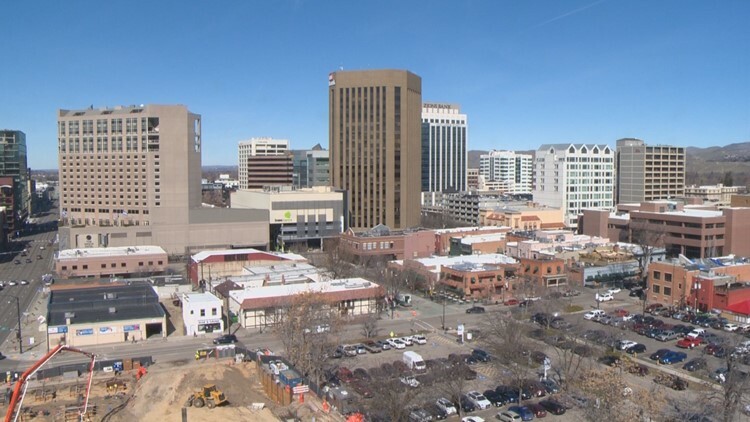 Boise ranked as 20th fastest growing city in the U.S.
Boise grew by about 15 percent from 2010 to 2017. BOISE, Idaho — While population growth is slowing nationwide, some U.S. cities are booming. Many of them are in the Southeast and West. 24/7 Wall Street has released its list of the fastest growing cities in the U.S. and Boise is ranked 20 out of the top 25. They review percentage change in the populations of 382 U.S. metro area between 2010 and 2017. Boise grew by almost 15 percent during that period. Based on U.S. Census Bureau data on population percentage changes, migration and national growth - the fastest-growing city in the country between 2010 and 2017 is The Villages in Florida. Some areas of the country grew by more than 20 percent. Bend-Redmond, Oregon came in at number 8. Provo-Orem Utah was ranked 11th and St. George, Utah was 6th.